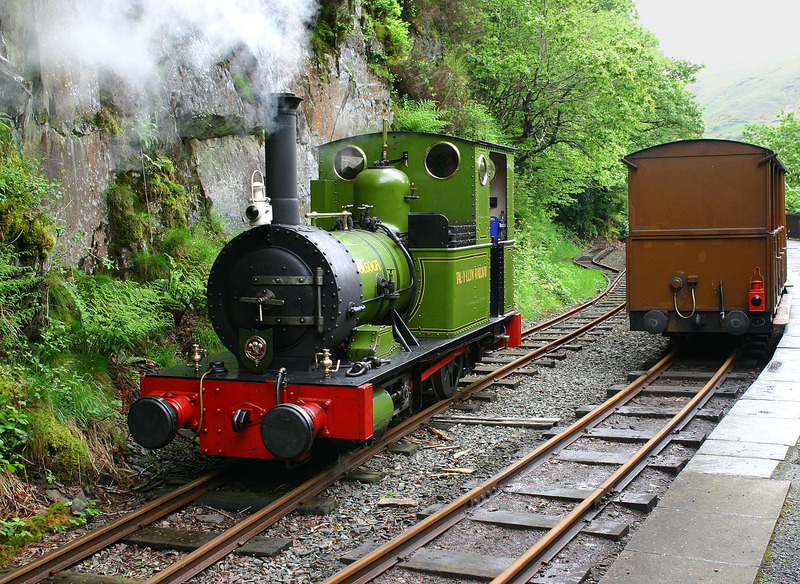 After having arrived at Nant Gwernol with the 13:55 train from Tywyn Wharf, 0-4-0WT 2 Dolgoch runs round its train on 20 May 2006, before heading back down the valley with the 15:00 departure. This is the eastern extremity of the Talyllyn Railway. It opened to passengers in 1976, having only been served by slate trains in pre-preservation days.